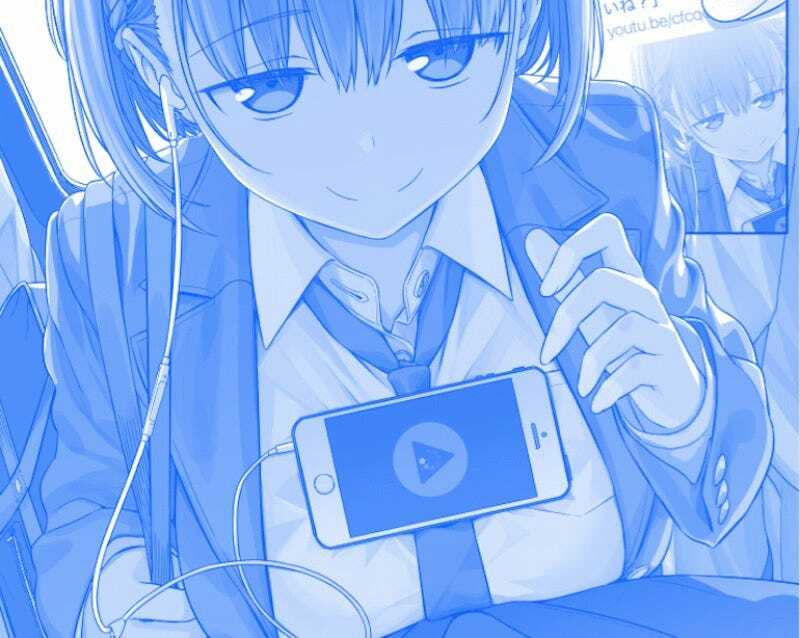 In Getsuyoubi no Tawawa (Tawawa on Monday), the heroine Ai-chan is able to balance her phone on her chest. Now, women and men online are seeing if they can do it, too. The short-form streaming anime started out as a doujin and tells the story of a businessman who becomes a schoolgirl’s bodyguard during the morning commute. However, as Hachima Kikou reports, YouTube deleted it from NBC Universal Entertainment Japan’s official channel earlier this week for “violating YouTube’s Community Guidelines.” NBC Universal had planned to release 12 four-minute shows on its YouTube channel each Monday. While those plans are currently in a holding pattern, the chest-balancing meme lives on! And you can always cheat. But please, be careful which phone you use.